New workload statistics make “grim reading” for Scotland’s civil engineering contractors. The latest findings by the Civil Engineering Contractors Association (CECA) for the second quarter show that while order books across Great Britain improved and prospects remained positive, that situation was in sharp contrast to Scotland where contracts declined. Contractors north of the border report that workloads reduced for a third consecutive quarter, tipping the sector into recession. Almost 50% reported that orders had decreased in Q2, the worst figure in nearly eight years. A fifth expect workloads to fall over the next year and a quarter anticipate a decline in orders. 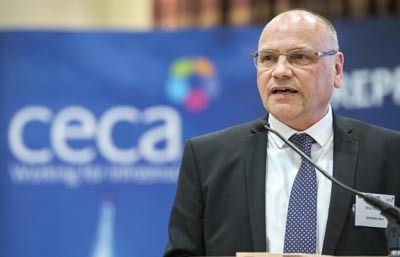 Grahame Barn (right), chief executive of CECA Scotland, said: “While these results are not unexpected, they make grim reading for Scottish contractors and the industry as a whole. Urgent action must now be taken by governments in both Holyrood and Westminster to arrest this alarming slide in activity in the Scottish civils market.